Democratic legislative leaders are divided on a proposed bill that would ban the sale or resale of magazines with more than 10 rounds. Two Democratic legislative leaders from rural districts say they own guns with magazines holding more than 10 rounds, which would be banned for sale or resale in Maine under a proposal from Senate President Justin Alfond, D-Portland. It’s a good illustration of the divide on gun issues in the Democratic caucus that showed itself last week on votes on a bill that made concealed-handgun permit data private. Eight Democratic senators — most of them from urban Cumberland County — voted against the bill. Ten voted for it. In the House, Democrats also split, with 55 voting in favor and 31 against. In both chambers, no legislator living north of Winterport voted against the measure. 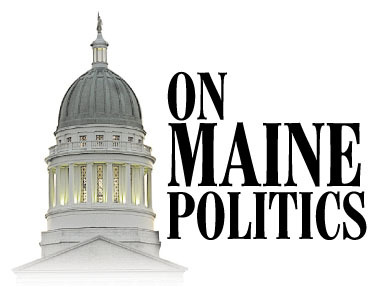 Assistant House Majority Leader Jeff McCabe, D-Skowhegan, and Assistant Senate Majority Leader Troy Jackson, D-Allagash, said Alfond’s proposed magazine limit would affect them both, and they wouldn’t support it. The National Rifle Association endorsed them both in 2012. McCabe said a 10-round limit is based on “an arbitrary number,” while Jackson said it wouldn’t prevent mass shootings. If McCabe and Jackson are any indication, however, there may be room for compromise in the caucus: Both said they would consider supporting expanded gun background checks. A battle via press statements from two partisan spokespeople yielded an ironic role reversal on “local choice” last week in Augusta. On Friday, Jodi Quintero, a spokeswoman for Democratic House Speaker Mark Eves, countered with a release pointing out that the bill would give cities and towns the “local choice” to raise fees as a possible budgetary solution. She’s right, but it makes fee hikes more likely. That type of phrasing, though, has been the Republican answer when Democrats decry Gov. Paul LePage’s proposed elimination of revenue sharing to cities and towns in the next two-year budget. He’s right, but it would make property tax increases more likely. Expect the game to continue — especially around revenue sharing, the highest-profile LePage budget idea — as we move into the session’s homestretch. The Legislature adjourns in June. Because of “inadequate internal control procedures,” a state audit report released earlier this month found Maine probably issued more than $100 million in unemployment benefits to people who weren’t actively searching for jobs and obtaining timely re-employment in the 2012 fiscal year. The number looks dramatic, but Maine is hardly unique. The federal government has highlighted such problems for years. In 2011, a U.S. Department of Labor official told a congressional committee, the department noted an 11.2 percent rate of improper unemployment insurance payments the previous year, representing $16.5 billion in overpayments and $936 million in underpayments, saying the primary cause of overpayments was the continuing payment of benefits to those who found work. The Congressional Research Service has said the reason for most overpayments is “administrative in nature,” because of agencies’ failing to verify certain information about those enrolled in the program. Back on the subject of guns, a host of firearms-related bills is scheduled for a work session today before a legislative committee. The Legislature’s Criminal Justice and Public Safety Committee is expected to pare more than 20 bills down to one or two more sweeping proposals during the legislative session, and their decisions today should give a clearer picture of what will be kept and tossed out going forward. Among the bills to be heard today are proposals to institute mandatory background checks at gun shows and in private gun sales. Another would repeal a law saying employers can’t prohibit employees with concealed-handgun permits from leaving guns in vehicles at work.